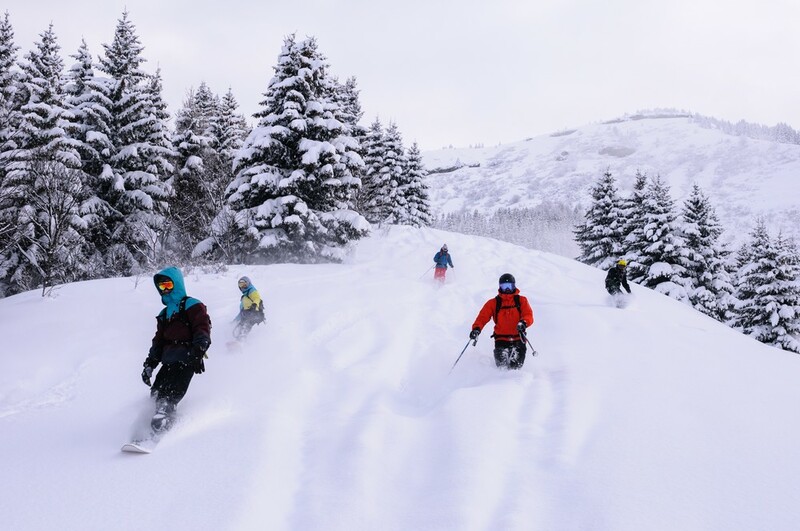 The 60 instructors of the Praz sur Arly Ski School (ESF) will be happy to introduce you to different ski sports whatever your level and your desires. 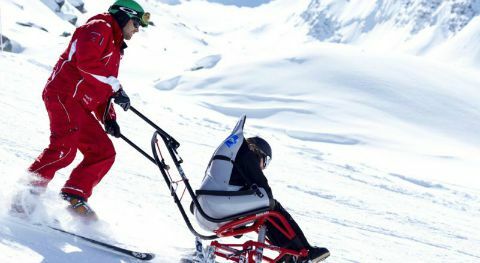 New: This year the ESF are offering ski outings in specially-adapted chairs for people with reduced mobility. You have never dared take the plunge or you haven’t skied for years – have a go! 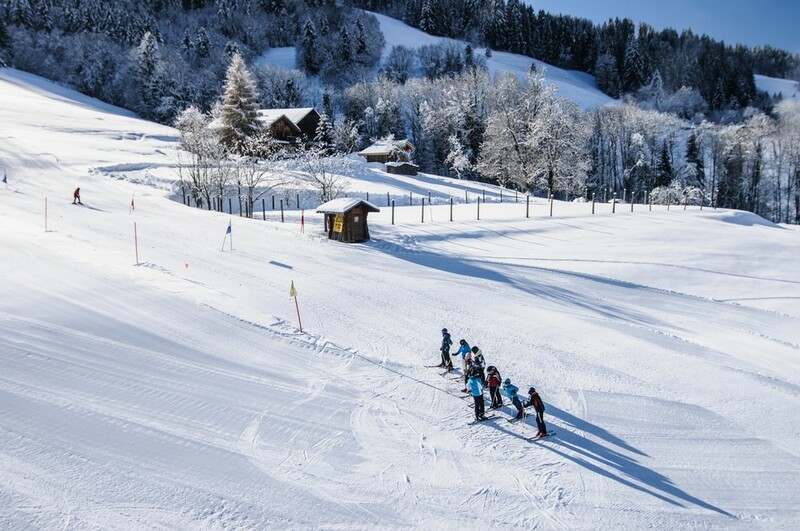 Praz sur Arly offers free ski initiation on Tuesday mornings for one hour. Everything is included, all you have to do is enroll at the Tourist Office! 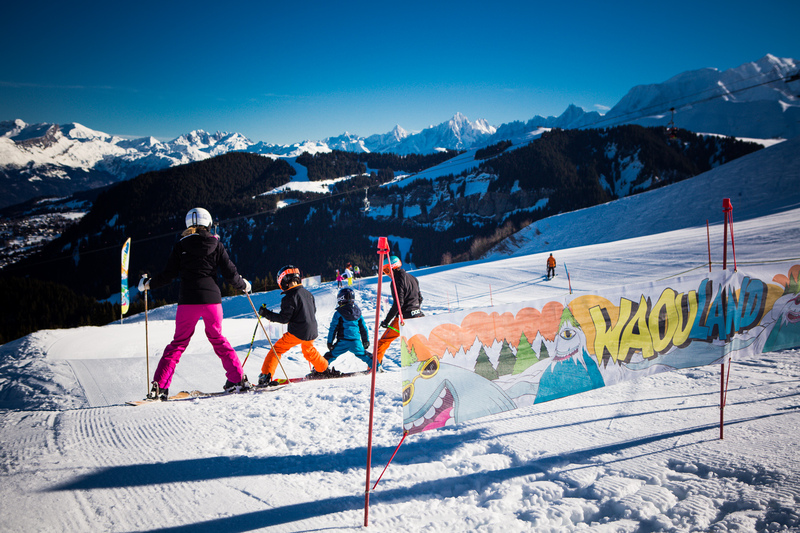 Les Wahouland pistes are fun runs with humps and raised turns open to all the family. 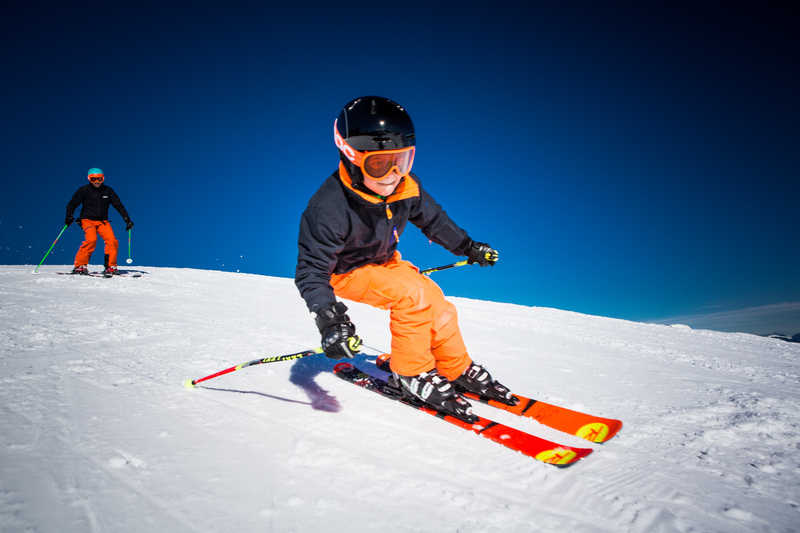 The Opoual piste is reserved for children! An ideal playground to learn to ski and have fun at the same time! Who hasn’t dreamt of skiing down a slope of virgin snow? The Espace Diamant is a fabulous playground for off-piste skiing. Numerous outings are offered by the ESF or the Megève Mountain Guides Office, a chance to escape for a day in complete security! SKI TREKKING: You who love the mountains and skiing, but have you ever escaped from the ski lifts and blended into the big white spaces? Come and discover this activity which you are bound to like! THE VALLÉE BLANCHE: 20 km of skiing and pure pleasure, crossing 3 glaciers with 2,800 m of vertical drop starting at the top of the Aiguille du Midi at 3,842 m! The Ski School has acquired a “Handiski” chair to welcome people with reduced mobility. Two instructors have been trained for this purpose. Possibility to reserve private lessons for a minimum of an hour and a half, 2 hours or half a day. The chair can also be used by valid people who don’t ski or who are temporarily unable to ski.